On February 20th, Edmonton owned Go Auto gave $1 million to its employees to be used towards Random Acts of Kindness. Each employee received $350 with the condition that they use the money towards a person or group in a compassionate way. “Go Auto has always made giving back to our community a priority,” said Go Auto President, Jason Smith. 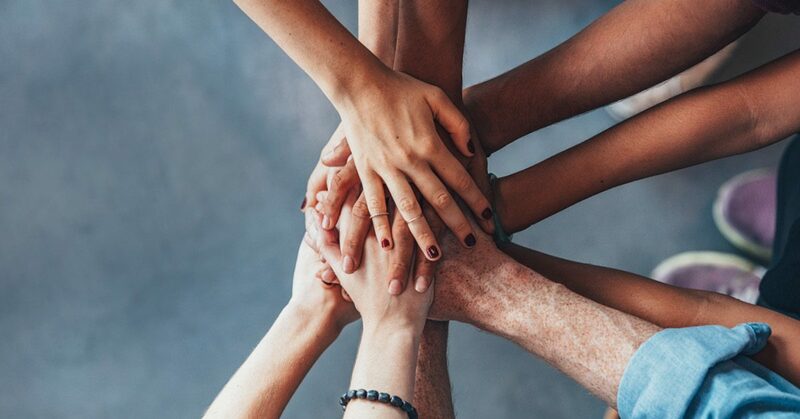 “Participation in Random Acts of Kindness in this way affords our employees the opportunity to make a positive difference in our community by personally choosing people, organizations, and causes that are most important to them. Go Auto is proud to contribute to organizations that help hundreds of thousands of Canadians each year. We wanted each of our employees to have that same opportunity to make a difference in someone’s life. What is Random Acts of Kindness? Random Acts of Kindness is a movement that is celebrated every February by people all around the world. The goal is to encourage giving without expecting anything in return. Altruistic acts help create kindness-aware communities that value generosity of spirit and action. When you give selflessly, you show others they matter. It says that even in the face of hostility, each one of us can make a stand for kindness. Go Auto participated in Random Acts of Kindness in 2014 as well. There are hundreds of stories of generosity from all of our employees that make us proud. Here are some of those stories. A group of 62 employees from all across Go Auto pooled their money together to surprise Pat Dunbar, a woman who runs the unfunded Beyond the Streets. Every Friday Pat and her volunteers feed the homeless downtown. Her mission was in jeopardy when her 1998 GMC broke down and she had no money to repair it. The Go employees banded together to buy her a 2012 Dodge Caravan with an extended warranty, insurance, food, and supplies. Brenda Spycher of GAD Red Deer took the Go Auto Challenge and donated $500 to ‘Rock the Change’: An organization founded in 2013 by a 21-year-old lady named Stacie Moore in light of the suicide deaths of 6 teens in Red Deer in 2013. Stacie is an elementary educator and speaks to Kindergarten to grade 6 students about ways to deal with feelings before they reach the point of depression. A group of 10 Go Auto employees joined their RAK money together to build backpacks for youth in need. Initially, they had a goal of 100 backpacks that would contain basic necessities. This included toothbrushes, toothpaste, shampoo, conditioner, socks, underwear and a hoodie for each bag. They also asked some of Go Auto’s network of businesses for any kind of donation that could be given. Together they were able to donate almost $15,000 worth of food, supplies, hygiene products, clothing and money to YESS. Do you know someone who could benefit from a random act of kindness? It doesn’t take a big donation to make someone’s day. Little acts can go a long way. For media inquiries related to Go Auto and Random Acts of Kindness, please contact Felicia Palmer at fpalmer@goauto.ca. Trading In vs Selling Privately: Which is Better?